While Fallout 76 isn’t officially out until next week, there’s already a small but growing modding community for the game congregating on Nexus Mods, a fan-run network of mods for PC games. 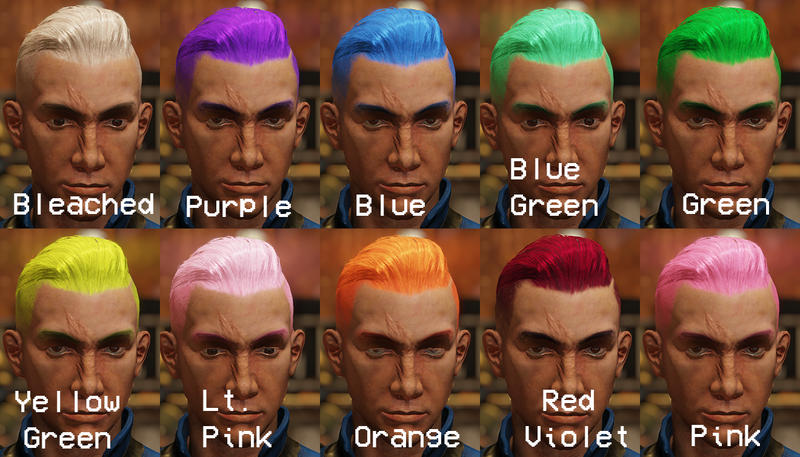 One mod called “Hairspray” lets players customise the hair colour of their Vault Dwellers, including several shades beyond what the game currently allows. “This is a Texture override for the Hair colours to make them look less terrible,” wrote Motherofdeathclaws, the mod’s author. “Now you can trawl the wasteland and nuke other players while having really vibrant and fun coloured hair.” Although Fallout 76 is online, none of the current mods, including Hairspray, affect other players’ games. Instead, the changes are limited to the session of whoever installed it. “[T]he core of Fallout 76 is basically identical to Fallout 4,” a Nexus modder who goes by Neeher told Eurogamer. “[T]he game assets are packaged exactly the same way too.” The current game’s existing tools present some limitations to modders, but so far, the options do extend beyond simply altering texture files in Photoshop. For example, some modders have created gameplay cheats, such as a lock pick bar that shows where the sweet spot is for picking locks, designed to prevent players from wasting too many precious kirby grips. Like the Hairspray mod, the lockpicking mod and others have been easier for modders to create quickly because of how similar Fallout 76’s modding architecture appears to be to Fallout 4. Bethesda did not immediately respond to Kotaku’s request for more details about the company’s stance on these mods, and whether that will change once Bethesda’s own plans for official modding roll out after the game’s launch. Unlike its predecessor, Fallout 76 has a microtransaction shop where players can purchase items to customise the appearance of various objects in their home base. If PC players are able to change how stuff looks in their game using mods and without paying for special items, even if the results of their mods are not visible to others online, that could raise red flags for Bethesda. While the publisher has said Fallout 76 will offer full support for modding, as well as custom servers, it’s still unclear how all of that will work. Bethesda curates official mods for its games through the Creation Club, and once Fallout 76 is out of beta, it’s possible that will be the only place players can go to customise their game, even on PC.